CEO Jean-Claude Brizard challenged a Chicago Urban League audience on Monday to become more forceful advocates for better education, in order to close the widening achievement gap between minority and white students in CPS, especially African Americans. The Illinois Educational Labor Relations Board voted unanimously to recommend that a temporary injunction be issued to stop Chicago Public Schools from expanding the number of schools with a longer school day, but it will not try to get the schools that have already implemented the extended schedule to revert back to a standard schedule. Tamoura Hayes started high school with big dreams for college that she already knew would be tough to reach. “C’mon,” she said. “I go to Marshall High School.” Obviously, Marshall’s long-standing academic failings weren’t lost on Tamoura, who went on to say that she “wasn’t even supposed to be here.” Marshall was her last option. Her family couldn’t afford the private school that was her first choice, and she wasn’t offered a slot at Raby, one of the newer high schools sprouting up on the West Side. This installment of Catalyst’s series on the record of Secretary of Education nominee Arne Duncan examines his efforts to raise the bar for principals, and what’s still lacking for special education. February 13, 2008–Democratic and Republican presidential contenders have very different ideas about how to fix education in the United States. With the primary season still underway, Catalyst examined the education platforms of the two major candidates still in the running from each party. 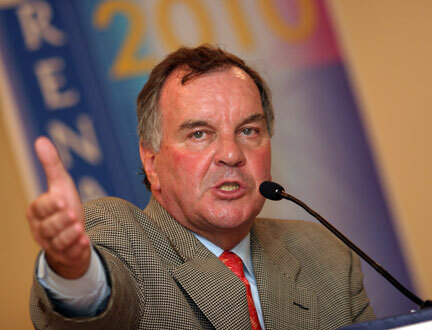 In 1995, Mayor Daley was the first big-city mayor to take control of a public school system. Since then, mayors in New York, Cleveland and Detroit have followed suit, and the new mayor of Los Angeles is seeking control of his city’s schools. Daley talked with editors Lorraine Forte and Veronica Anderson about the past decade and his vision for the future.